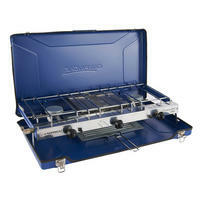 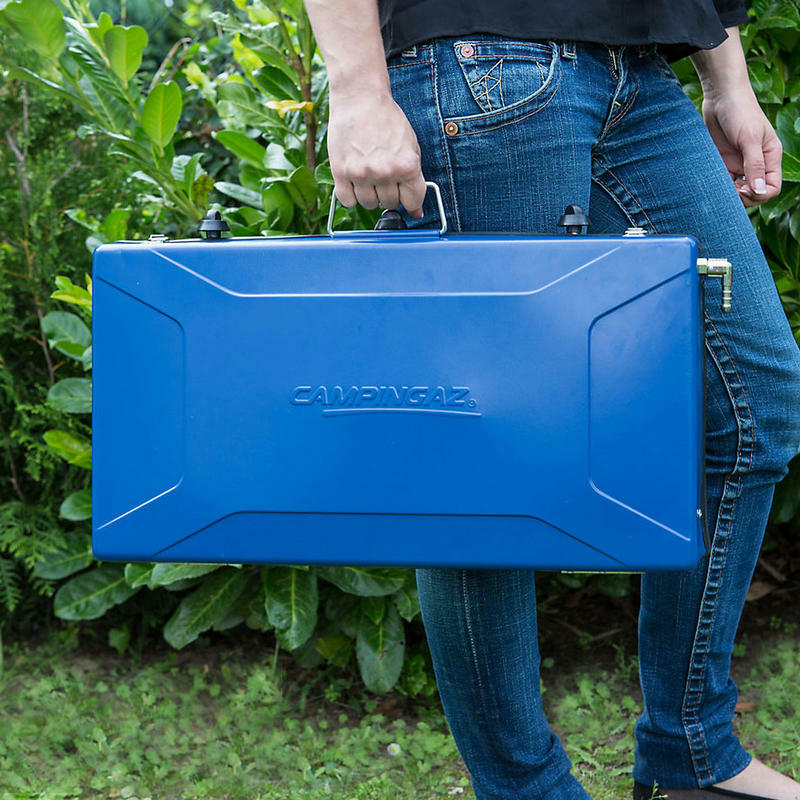 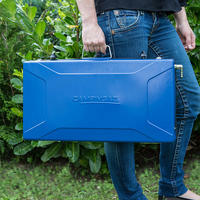 An ideal camping companion this double burner packs down for easy portability. 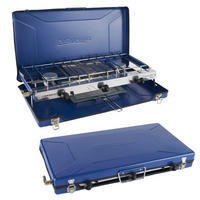 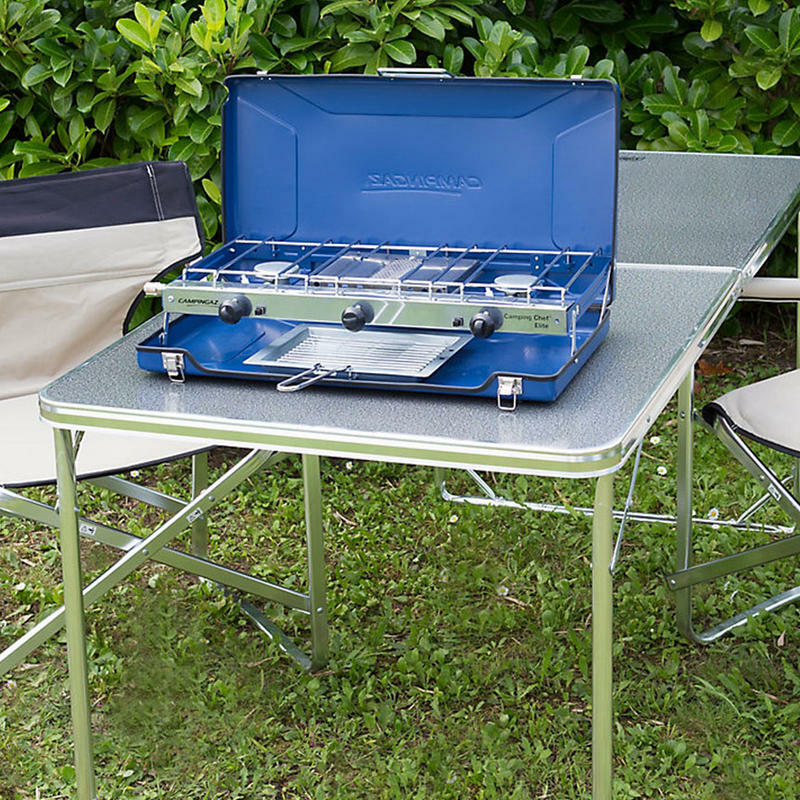 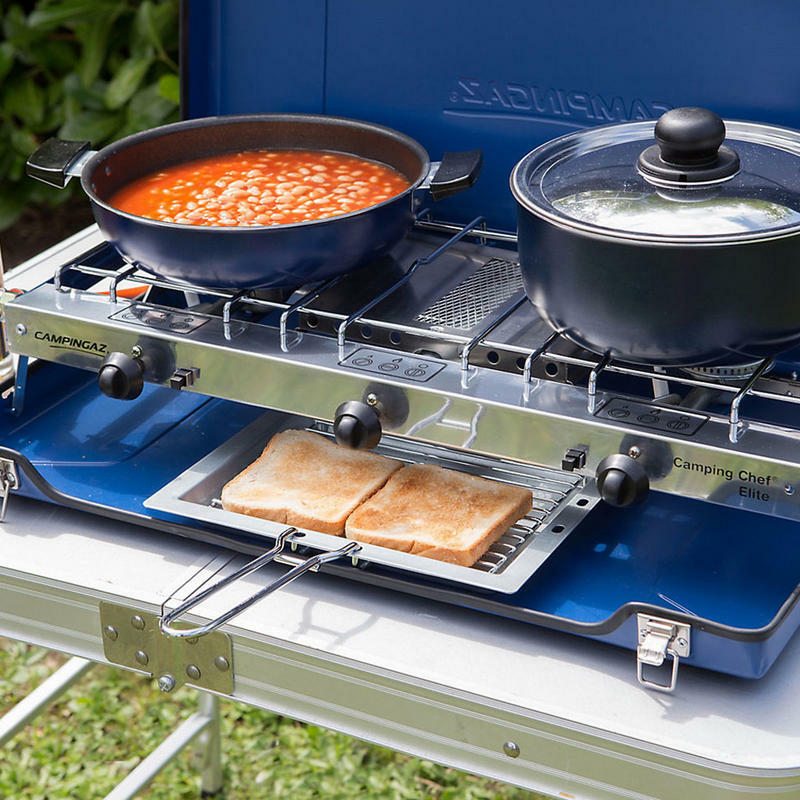 Boil, fry and toast all at once with the Campingaz Camping Chef Folding Compact Stove. 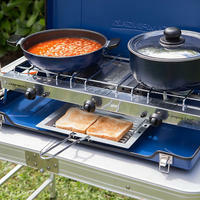 The multi-functional stove is ideal for whipping up breakfast for the familiy on camping trips. 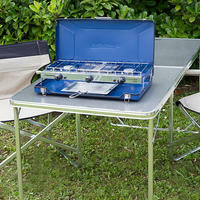 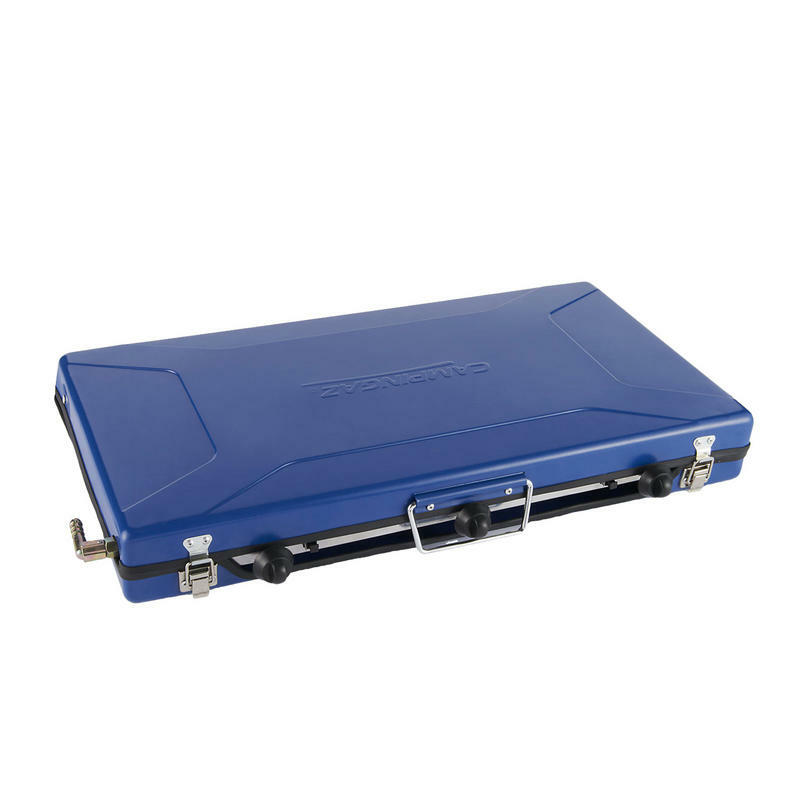 Ideal for camping holidays - this lightweight, compact and durable stove has plenty of power for frying and grilling.